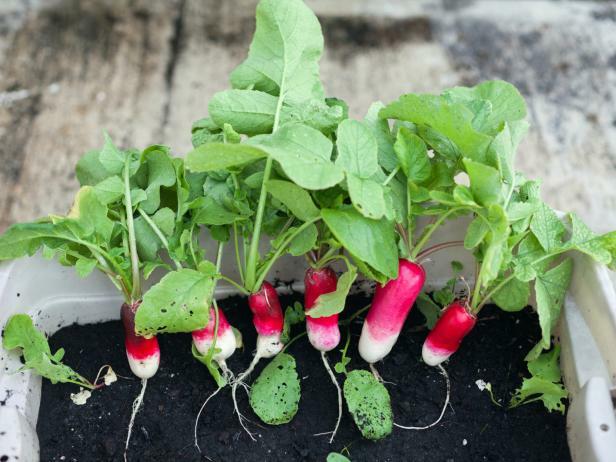 Can you grow radishes indoors? Sure! While it’s unusual to grow radishes indoors, you may have success in bringing an early spring crop to maturity even earlier in the year. That means having a tasty vegetable on hand that you don’t have to go outdoors to harvest in bad weather. 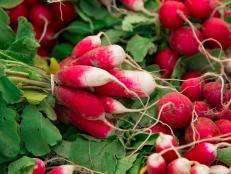 What do radishes like? Plenty of sunlight, cool soil, lots of moisture but with good drainage, and a growing medium – dirt – with a generous measure of organic material worked in. Stones, pebbles, and lumpy clay soil? Not so much. Perfecto. A pretty red radish that forms up nice and round. Sparkler. 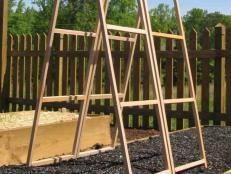 Reliable, and ready to harvest at one inch diameter. Ping Pong. A round white radish with white flesh inside. Easter Egg. This mix can be harvested a little bit at a time. Cherry Belle. 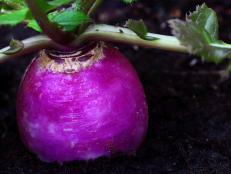 A standard table radish. Start harvesting while compact. 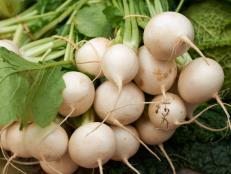 What not to grow indoors -- daikon radishes, unless the container is several feet deep. The soil that goes into those containers is important too. It should be a mix of good quality potting soil, augmented with an extra dose of sterilized compost. 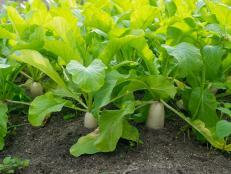 To grow any radish indoors you need to provide rich, loose soil so that the roots can expand freely. Water? 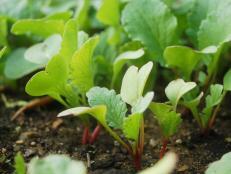 At first, after planting seeds in the containers, water by spraying from above. Keep the soil moist. 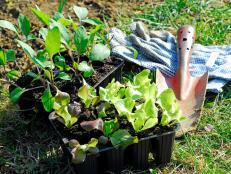 As soon as first shoots appear begin watering gently – and regularly – with a watering can. 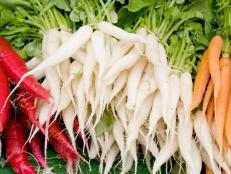 Radishes should never sit in water, but they do like sufficient moisture so that roots can grow plump. Sow radish seeds sparingly indoors. You may not have to thin at all if you plant half a dozen seeds in each medium size container and then let them all grow to maturity. 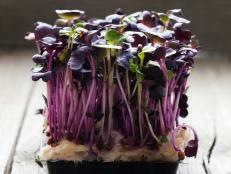 And if you do plant more thickly and then thin the radishes, use those thinned sprouts in soups, salads, and sandwiches. Remember, too, that fast-germinating radish seeds may be inter-planted with other seeds that are much slower to germinate. Like two crops in one. Anyone who wants to know how to grow radishes indoors should also consider hydroponics. Hydroponics uses various nutrient solutions circulating through water and sometimes a lightweight growing medium instead of soil. Those growing mediums include various volcanic and mining byproducts, clay pellets, gravel, and wood fiber. Hydroponics can work especially well in small apartments and in very cold climates. 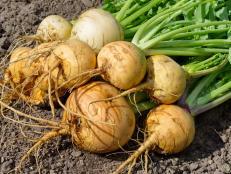 Turnips with white roots are both easy to grow and valued for their tenderness and sweetness, with some compared with apples for their lack of classic turnip tanginess.